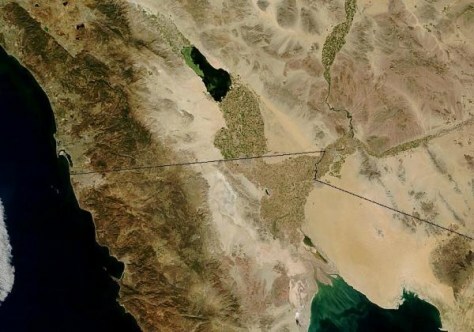 Southern California's Salton Sea and, just south, the edge of the Gulf of California. It's an area of active rifting where the continent is being torn asunder. A study examined the bottom of the tectonic plate beneath this region and found some big surprises.